Trubee was trimmed by a natural barefoot trimmer and immediately felt relief. He moved more fluidly than I'd ever seen him move! However, since so much was removed his feet quickly grew tender. You would have thought he had an abscess or broken bones watching this horse try to walk across gravel. 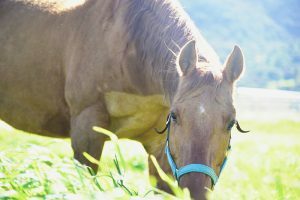 He was perfectly fine in the soft grass pasture or sandy arena, but unfortunately to get anywhere he would be required to pass over gravel roads. I immediately started reading reviews online for different hoof boots for horses. My negative experience in the past had me looking specifically for something that would be easy to put on, and durable. I was still a starving college student at the time, and could not afford to buy something that wouldn't work! 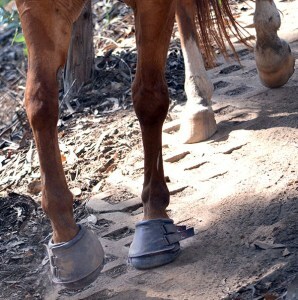 Trubee was also being half leased to help pay his bills, so the boots needed to be easy for anyone to use. I decided to purchase a pair of Cavallo simple boots. I got the purple ones, because they were cheaper than the black ones. Did I mention I was a starving college student? My first impression of the Cavallo boot was that it looked well made and VERY simple to put on. I had measured Trubee's hooves according to their instructions and the boots fit perfectly. I did learn that you need to make sure the Velcro is as tight as you can get it to prevent twisting. When put on correctly, I've never had one of these Cavallo hoof boots come off. Not in deep sand, mud, creeks, or while galloping. Trubee's simple boots lasted for years. In fact, they could still be used today but he walks unevenly so they have worn unevenly. I like the newer styles because you can put them on either left or right hoof, so if you have a horse that walks funny like Trubee you can switch them for even wear. 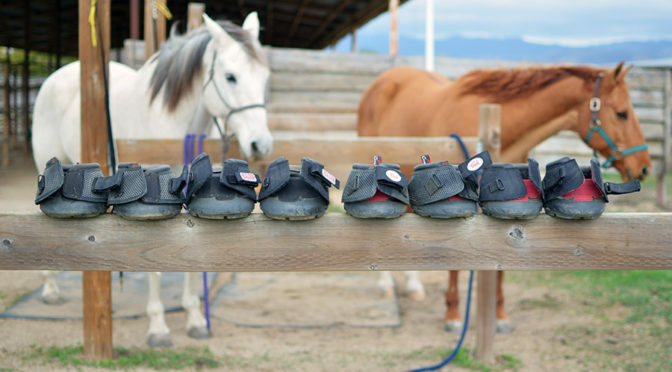 We were fortunate enough to have Cavallo send Tucker a pair of Trek boots awhile back, and then a new pair for Trubee when his wore out. We also got their newest economy boot, called the Entry Level Boot or ELB's, for their back feet for those really rocky trails! I love both these boots because they can be placed on left or right hoof since the closure is at the front. The trek's have proven to be just as durable, if not more durable, than the Simple boots. The quality of the ELB's seem to suggest that they will last quite a while too! 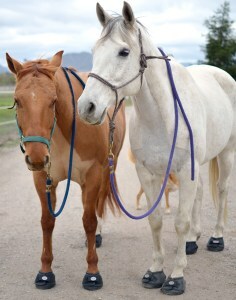 The horses wore a horse boot on each hoof for a recent trail ride through the hills of Montana de Oro. We went through creeks, sand, rocks and road without any difficulty. Sizing is the most important step when choosing your boots! They will NOT work at all if you get a size too big or too small. 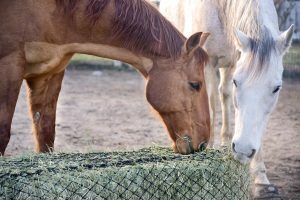 Luckily, Cavallo offers a very easy to follow measuring guide. They also have "slim" sizes for hooves that are more oval than circular. Tucker wears regular sizes, but Trubee wears slims. The slim boots are noticeably different from the regular sizes thanks to the interior and bottom having red accents! I love this for when I'm grabbing a pile of boots. It makes it so much easier to sort! Trubee's Trek boots look so good on him! The ELB's might be the cheapest option, but they are definitely not forgetting quality with this design. I would honestly be surprised if the ELB boot didn't last as long as the Treks or Simple boots!